The World Hankimuye Federation welcomes all who are interested in learning martial arts the traditional way. The World Hankimuye Federation was founded to accommodate the growing needs of an international community of like minded martial artists that was interested in learning the 3 HKD’s of hankido, hapkido and hankumdo. 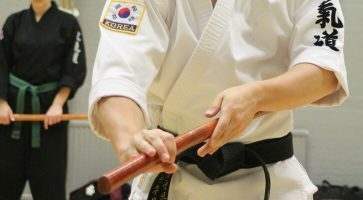 Through the efforts of masters Ko Baek-yong and Yang Yong-seok, both direct students of hankido-founder Myung Jae-nam, our federation has seen a steady grow. A new generation of instructors is now leading our federation towards the future. Our focus is on quality, not quantity. We live by the motto that it is better to practice one technique a thousands times, instead of practicing a thousand techniques just once. We welcome those who subscribe to this motto to join us on the mat to train and share.